"Efficient", "Vibrant", "Authentic"... and still attracting talent from across the globe. Robert Outram talks to Hong Kongers and expats about living and working in the territory. Efficient. Thats's a word that keeps cropping up when people talk about Hong Kong. Take the MTR, the territory's mass transit system, for example. Lines on the platform mark where passengers entering and leaving the trains are supposed to stand, and commuters write angry letters to the management if their train is as much as two minutes late. "Hong Kong gets under your skin," says Kate Mortimer CA, tax lead, Asia Pacific with brewing giant SABMiller. She has been living and working in Hong Kong since January 2014, managing tax teams across a wide region from India through Asia and Australasia. SABMiller brews and sells beer throughout the region, including Foster's, Peroni, Grolsch and MGD (Miller Genuine Draft). She loves Hong Kong: "It's so vibrant, and it's 'East meets West'. Hong Kong is easy to live in, but it's authentic." With a young family – two young boys – she also appreciates the weather and the fact that Hong Kong is a very safe environment. Hong Kong is one of the most densely populated places on the planet, but even so only 25 per cent of its land area is developed and with 40 per cent of its land area taken up by country parks and nature reserves, even the residents of its famous sky-high apartment blocks are never that far from green space. Hong Kong island and part of the mainland was ceded to Britain as a trading post in 1842 and in 1898, China leased a larger area (the "New Territories") to Britain for 99 years. In 1997, Hong Kong was returned to Chinese rule as a "Special Administrative Region" (SAR) of the People's Republic. In the run-up to the handover, China committed to a "one country, two systems" approach. At least for the first 50 years, Hong Kong would have autonomy over most of its own affairs, apart from security and international relations issues, and would continue to manage its own currency and legal system. John Williamson CA, who first came to Hong Kong in 1994 with NatWest, says very little has changed since 1997, apart from the increased level of traffic in the city (and accompanying air pollution) and the altered skyline across Victoria Harbour, where the old Kai Tak airport has been replaced by new office developments. Williamson is CFO with Search Investments, which operates as a "family office" looking after the interests of the founder of the DFS duty free group. He also oversees a "fund of funds", Sail Advisors. He says: "The work ethic in Hong Kong is very strong and I enjoy the team culture we have here at Search. This is a very efficient town and people make decisions relatively quickly." But is there still a place for expats, following the end of British rule? Williamson says: "There is still a place for everyone if you want to work hard. The financial services sector relies on having the right expertise available. International banks want to be competitive, so they hire whatever resources they feel are appropriate, and Hong Kong has relatively low rates of unemployment." More than 90 per cent of Hong Kong's population is of Chinese descent but the expat community – whether European, Indian, Japanese, Korean or Filipino, among many other groups – is still very evident. One difference is the increasing number of mainlanders working and studying in Hong Kong. Putonghua ("Mandarin") can be heard alongside the prevalent Cantonese. Martin Murray CA is CFO with Cathay Pacific, one of the world's leading airlines and one of Hong Kong's most iconic companies. He comments: "Hong Kong is still a popular posting and the quality of the CVs I get across my desk is excellent." The days of the expat premium are gone, however. Murray explains: "If you're recruiting to a job, a foreigner would not necessarily be offered any more than someone from Hong Kong, but there is a premium for someone who accepts a wide degree of flexibility over where they may be posted." Humphrey Choi CA is Hong Kong and Southern China assurance leader with PwC. In July he will become CaTSH (China, Taiwan, Singapore and Hong Kong) assurance leader. A Hong Kong national, on advice from a friend he studied for his degree at Glasgow's University of Strathclyde, training as a CA with Coopers & Lybrand Deloitte in Glasgow from 1987 to 1990. He was seconded to the firm's Dubai practice after qualifying, before returning to Hong Kong. Choi has more than 20 years' experience dealing with some of the biggest companies in Hong Kong and China, including advising on IPOs on the Hong Kong and overseas stock exchanges. He is also global relationship partner for Hutchison Whampoa, the Hong Kong-based telecoms group currently poised to buy O2 from Telefonica for £10.25bn. Choi says: "There are lots of opportunities to work here – or to be based here and work, for example with clients in China. We have a lot of secondees from the UK, Australia, Korea, Japan and elsewhere." He warns, however: "Housing is very expensive in Hong Kong. Income tax is low here, but the cost of rent is a kind of tax." Tax on salary income is calculated on the basis of progressive tax bands or a flat rate of 15 per cent, whichever produces the lower liability. Choi adds: "When you are based here, your exposure is not just to Hong Kong but to China and the whole Asia region. Hong Kong is a popular posting and we are keen to recruit – the firm is growing here. Salaries are not bad and career prospects are good." As he points out, Hong Kong is also one of the firm's most diverse practices worldwide, with a high proportion of female partners. Bruno Li Kwok Ho CA, CFO with Trinity, is another Hong Kong national who trained with ICAS in Scotland. He says: "The CA was seen as a prestigious qualification." 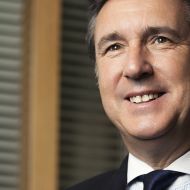 After taking a postgraduate diploma at the University of Strathclyde and then training with Deloitte & Touche in 1979-1982, he returned to Hong Kong to take up a career in industry, working for – among others – French pharmaceutical group Rhône-Poulenc and consumer goods and logistics group Li & Fung. Trinity, which was spun out from Li & Fung with a listing in 2009, is a menswear fashion retailing and manufacturing business that owns a number of leading brands: Gieves & Hawkes, Kent & Curwen, Cerruti 1881, D'Urban, and Intermezzo. Li says: "The brand has to communicate its personality to the consumer, to make it clear what the brand stands for." Li says of his CA training: "It has helped me to develop key performance indicators, to measure performance and evaluate the efficiency of our supply chain, and create a 'dashboard' to show how we are doing. I'm still proud of my CA training – over the years, it has given me a firm foundation and understanding to enable me to learn very quickly." Ali Tse CA, a senior manager in PwC's transfer pricing team also had a family reason to move to Hong Kong – her father is a Hong Konger and now lives there, and Tse wanted to be closer to him and her three young half-sisters. Tse grew up in the UK and trained as a tax specialist with EY in London. After qualifying she left to look for opportunities in Hong Kong, only to get an offer from one of the firm's tax partners there. She has been working in Hong Kong since 2007, moving first from tax compliance into transfer pricing with EY, and – last year – to the PwC transfer pricing team. She says: "I'm really enjoying it. I enjoy working in a team with a lot of pace. I learn from my team and they learn from me. And I'm working on things I find interesting and challenging. Transfer pricing is cross-border, so you have a skill set that is applicable anywhere." Tse says: "I've probably become less organised, because I can afford to be. There is someone to do everything for you, from making the tea to fixing IT problems. I've always found the pace of life in London too slow!" Hong Kong is famous for its "work hard, play hard" culture and Tse concedes the hours can be long – although there is more work/life balance in her current role and she is rarely there after 9pm, for some offices working up to or beyond midnight on occasion is not exceptional. On the other hand, living within 20 minutes' walk of home, in Hong Kong's compact Central district, is a luxury not many Londoners enjoy. Hong Kong is also a relatively small business community and highly networked. Tse comments: "You live and breathe your professional life wherever you go, but the energy feeds into both your personal and professional life." Nathalie Simpson CA also trained with EY in London and now works as a financial controller with business process outsourcing group Williams Lea, which provides a range of services to mainly financial and banking clients, from running mailrooms to design and printing. Simpson, who is just about to return to the UK after her tour of duty in Hong Kong, says: "Hong Kong is efficient. It's a matter of extremes – either things get done very quickly or not at all, in China it's even more so. Work/life balance is pretty good here, but I've worked hard with the team to get it that way. My belief is that you have to work smarter!" Her Asia-Pacific remit covers China, Korea and elsewhere in Asia as well as Australia and New Zealand, and she stresses that the complexity of the region should not be underestimated: "You have to consider the different cultures, languages and legislation before you roll anything out." Stephen Mercer CA has been in Hong Kong and Shanghai since 1992, having decided to stay after a two-year secondment. He says: "I liked the pace in Hong Kong. Things move very quickly and there are a lot more transactions and listed company audits. Mercer is partner in charge, multinational clients with KPMG China. What has he seen before and after 1997? He says: "What's changed is that the uncertainty that came before the handover has gone away. Hong Kong as a business environment has not changed significantly. It is still an international financial centre. In the 1990s most of the expats were British, Commonwealth and some Americans. The balance has changed but it's still multicultural. And there is great local talent. There are very smart business leaders and entrepreneurs here." Of course, Hong Kong's fortunes are inextricably bound with those of China, so signs that Asia's powerhouse is starting to slow down are clearly a matter of concern. Mercer says: "There are still tremendous opportunities in China, but realising those opportunities is much harder. You need to be more sophisticated in your approach. You can't go to China any more and sell them last year's stock." Bruno Li agrees that China is changing as a market: "People are becoming more value conscious. They are less likely to splash out on buying luxury gifts as standard and that is the 'new normal' in China. So we have to be more nimble, more vigilant on costs." PwC's Choi is cautiously optimistic: "China's economy is huge; there has been a slowdown but the Chinese government has a great deal of flexibility in how it can address the situation, and 7-8 per cent is still good GDP growth." Hong Kong also faces a political challenge. There is a commitment for the next chief executive's election, in 2017, to be held on the basis of universal suffrage rather than through an appointed electoral committee. "Pro-democracy" campaigners have been calling for a free choice of parties and candidates, while the establishment would prefer candidates to be selected and vetted to minimise the danger of conflict with Beijing. Last autumn the Occupy Central movement took over part of Hong Kong's financial district, with demonstrations involving up to 100,000 or more people in the face of what were, at times, heavy-handed police measures . While many businesspeople in the city sympathised with Occupy's ideals, there was also a growing irritation at the impact of the protests on daily life. KPMG's Mercer comments: "Companies have not been put off [investing in Hong Kong], though some businesses were affected by the disruption. The concern among the business community was that it went on too long. Though compared with protests in the West it was quite orderly." Bruno Li argues: "The Occupy protests haven't shaken the confidence of investors. The reality, however – which people have to accept – is that there are certain limits. We can't be independent of China. The hope is that China will continue on its path of reform – economic, socialand political." He adds: "Hong Kong also needs to reinvent itself. 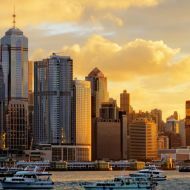 China is becoming less dependent on Hong Kong, but the territory still maintains a competitive edge, with its judicial system and its position as the major financial centre in the region. It will become even more important as Chinese companies seek to tap into international capital markets. "Also, at the moment the renminbi [China's currency] isn't fully convertible while the Hong Kong dollar is, and it will probably be at least five years before that changes." Ironically, one of the greatest challenges for Hong Kong arises not from its differences with the People's Republic but with its increasing convergence, as China gradually embraces the market economy. Does an increasingly open China still need a "gateway"? Hong Kong's professionals answer that question in the affirmative. As Stephen Mercer puts it: "The future of Hong Kong is very positive. We have the rule of law, this is a major financial centre and we have a convertible currency. Hong Kong is more than just a gateway to China, it's a regional financial centre for Asia."